A gun belt is a crucial piece of the concealed carry equation. 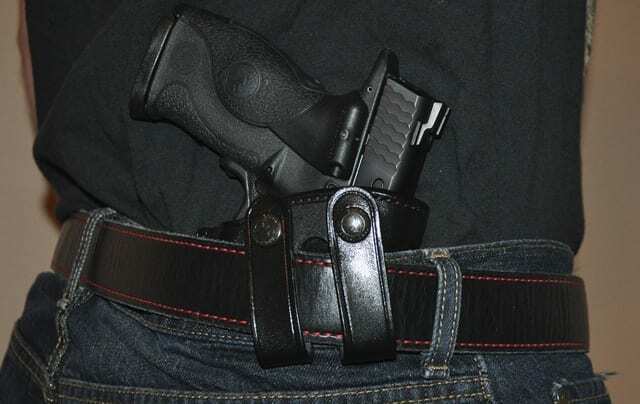 The best gun belts are those that address the realistic concerns facing both the dedicated concealed carriers and those who use a holstered gun on a more sporadic basis. 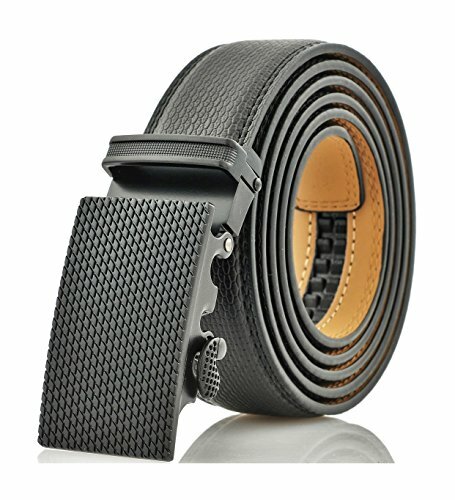 A legitimate gun belt will have a robust build quality, a great brand reputation, and beneficial features to set it apart from the crowd. The right belt elevates the routine concealed carry experience to a comfortable, natural-feeling daily undertaking. In this article, we're going to review some of the best gun belts on the market. We'll be highlighting why each model made our list, so stay tuned! Are All Gun Belts the Same? All gun belts are not created equally. This is no more apparent than the first time you feel your new gun belt begin to sag under the weight of your concealed carry weapon and allows your gun to “print”, and discomfort as the belt twists and flops around. Not only do you need to be looking for a rigid/stiff gun belt, but one that has a proven history of providing long-term service to users. There are plenty of great belts, and many achieve the same strength and rigidness through different means, materials, or design options. Many belts meet the stringent requirements to be included in a list of “the best gun belts”, and there are many more belts that aren’t worth the material costs that went into their construction. We’ll do our best to help you understand what makes the best belts for long-term use, and possibly even lifetime carry of your concealed weapon. Note: Sometimes appearance is everything, and you can, and should, compromise on stiffness and look for a belt that can be used in specific scenarios to keep you concealed. We added a couple options for such an occurrence. We would never use them as dedicated gun belts, but for more formal settings, where clothing is important, they fit the bill when utilized properly. Fit is everything with a holster belt. The size and adjustability of the belt will be a huge determining factor in how good that belt actually is. One of the most significant aspects of the fitting process for the belt to fit your holster is the width of the belt. Most traditional fashion belts are ¾” or 1” in width. Sometimes you might be able to find a fashion style belt that is slightly wider. With a legitimate gun holster belt, you can expect not only a wider belt but a much thicker material in conjunction with the wider width. Note: This will sometimes mean that your existing pants will not work with your gun belt. The belt loops may be too small to fit the heavy-duty belt you’ll want to invest in for concealed carry use. That is usually not a problem for holsters. Most holsters can fit a wide belt by default. The slots on most holsters are at least wide enough to handle the standard 1 ½” belt, or even larger belts in many cases. Now that you know some of the practicalities for choosing a gun belt, you’ll still want to factor in the individual benefits of each design and have a look at our preferred choices. We detail some of the different styles you will run across when looking at top tier gun belts for competition, concealed carry, or other use cases. Each of these reviews should give you an apples-to-apples comparison to improve your selection criteria for your new gun belt. A belt with a lifetime warranty is an all-too-common thing nowadays, but Relentless Tactical is one of the versions that actually makes sense to own. You won’t have to hope they honor their warranty claims or worry whether the reviews that buoyed up your choice to buy from them were all fake. Instead, you’re getting legitimate build quality, customer service, and performance out of this 1.5-inch wide belt that should fit most mainstream pants and most holsters without fitment concerns. The looks are clean enough that you can use it as a “fashion belt” and the build is heavy-duty, so you can use it for a gadget-laden duty belt. It’s a chameleon and a workhorse at the same time when it comes to gun belts. This belt is an investment, and compared to what you might be used to paying, this belt is much more expensive, but the value for the money is absolutely there – you won’t need to buy a new belt every year or two either. If you have a problem with the belt, it gets replaced. A 17 oz. leather belt with a 100-year warranty. It doesn’t get much better than that. The customer service stories set this belt apart and their easy replacement policy also includes shipping costs back to the factory for replacement. Hank’s has a great product on their hands. While it is super rigid it will still flex a bit, as it is a natural, non-stiffened product, but that helps with the versatility of the belt and offers a bit of comfort at the same time. This is the belt to buy if you want a quality leather product so you won’t ever have to buy a gun belt again. It will serve the vast majority of users for many years. Companies like Hank’s have differentiated themselves so well in the market, that soon there will only be a handful of leather belt manufacturers that will continue making the product. It’s hard for companies to compete with excellent customer service, great ratings, serious build quality, legacy performance, and that 100-year warranty. It starts with a premium build from top tier leather and culminates in a better experience for concealed carriers and duty carriers all over the United States. If you need a great warranty, and you want a no-hassle, no-nonsense return/exchange policy, Hanks is a very good option. You are unlikely to need a replacement belt, rather you are more likely to have it for many years because it’s already very well made. This belt is more of a fashion belt that can handle the use of a holster than a dedicated gun belt. But there is sound reasoning for choosing this belt over other “dedicated” gun belts too. It looks better than most belts, it is made from even more premium finished leather, (though the weight of the cut is 13 ounces compared to usually higher weights for gun belts from Hank’s), and it is more versatile by far. It won’t sag like cheap belts, but it also isn’t made for heavy gun holstering. However, it is a great belt that you can use for gun needs. Beautiful, functional, and versatile, this is a perfect mate for your small or medium sized gun as a daily carry belt, or for occasional use for heavy gun setups. Note: Because it is made first as foremost as a belt, and not a gun specific belt, you might consider a dedicated gun build if you plan on carrying a lot of weight 24/7 or even just daily. For everything else, this belt is excellent. An excellent belt that doubles as a gun belt, even if it wasn’t purposefully made for that reason. But this belt is in a whole other league compared to big box store belts or cheap belts you find at knock-off retailers and in retail in general. If you want the very best carrying capacity, warranty, and stiffness in a belt made for heavy duty use but still lightweight and semi-casual, this is a serious contender for your dollars. Very specifically, the manufacturer notes to potential buyers that this is NOT a gun belt. However, a gun belt doesn’t always mean it has to handle a ton of weight or have a lack of flexibility. There are times when deep carry and concealment requires a fashion belt and some workarounds to make the carry most discrete. This is why this belt is included on the list. 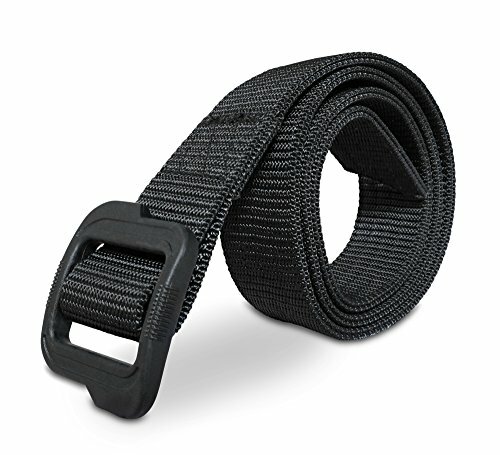 It is a dedicated fashion belt with an exact-fit, track style adjustment that will work well with those who need ultimate carry capabilities from a civilian/fashion style belt. It is also good for supplementing a belly band style holster/retention system and for attaching a shoulder rig if necessary, despite its obvious hindrance to full concealment. For those who need to carry very small guns like Derringers or lightweight small framed pistols, this can also be an exceptional option, especially when a jacket and suspenders might be included in the clothing choice. 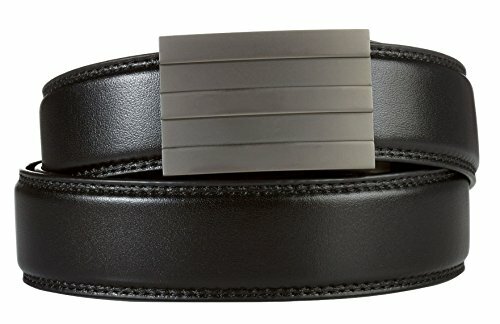 You buy this belt as a secondary or tertiary choice for carrying and it is best suited for more dressy occasions where a dedicated gun belt would be awkwardly out of place. It is an exceptional option for deep concealment of smaller pistols and for when you might need something to keep your shoulder carry rig in place, but require maximum benefit from the aesthetics, like in a partial concealment bodyguard-type setting at formal events. 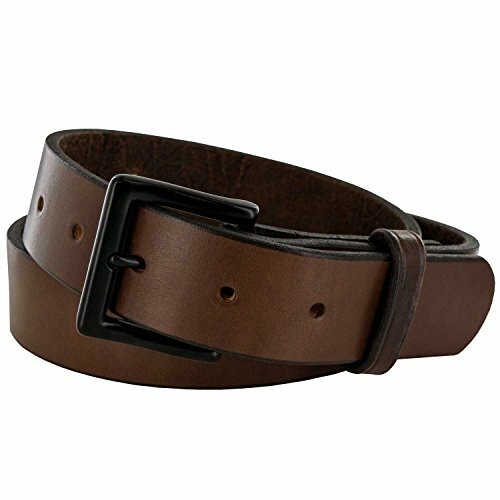 Another very specific option, this is a dressy belt without nearly the durability and build quality from a toughness perspective of a dedicated gun belt. But it’s not meant for heavy duty carry, it is meant for use in formal or dressy situations, where overall aesthetics will be a huge part of the need for your carry. This is not the first choice for a gun belt. That must be clear. This is a choice for those who know they need a dressier option or who need the track style adjustment to blend with a variety of clothing options. 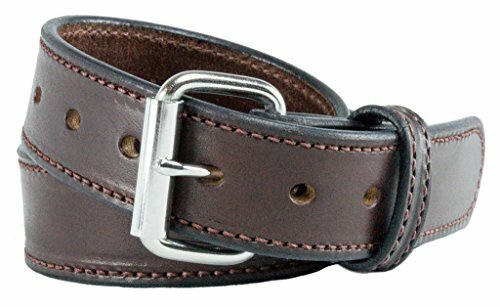 This is a great belt for small, lightweight firearms and when other dress accouterments may be present like a jacket, suspenders, or other items. There can be no doubt that this is a quality belt, but this is a dedicated formal wear belt for deep concealment purposes and for use with small firearms only. It might also double as a stabilizing belt for a shoulder harness/holster/rig for those who must maintain certain clothing requirements like dedicated professional protection details. Arguably the best option for those who want to carry lightweight guns in shorts or other lightweight clothes without a ton of hassle. This is a very nicely reinforced nylon belt, that looks great while fitting the tactical, but is also decidedly less tactical than most “gun belt” options. This belt will serve you well if you want the ultimate in lightweight wear and good adjustability and are not carrying a ton of weight. It is also a very nicely fitting belt for those who don’t want belt buckle holes. The price is right, and the quality is great. For the person who wants to carry in lighter weight clothes or needs water resistance and hard-wearing durability with a synthetic build, this is a very nice option that won’t cost an arm and a leg. It is perfect for shorts and smaller firearms, especially when used for IWB (Inside Waistband) holsters. A perfect choice for IWB and stiffened paddle holsters, this is the extremely popular Gunner Belt from Hank’s that has outsold most other belts for the company on a regular basis. They call it their most popular belt by volume. That is obvious in the utility and strength of the belt, even if it doesn’t “seem” like a dedicated gun belt. This is the choice for when you want a T-shirt and jeans to carry in. It’s strong enough to hold the weight of a gun, but it isn’t so stiff as to be uncomfortable while carrying. 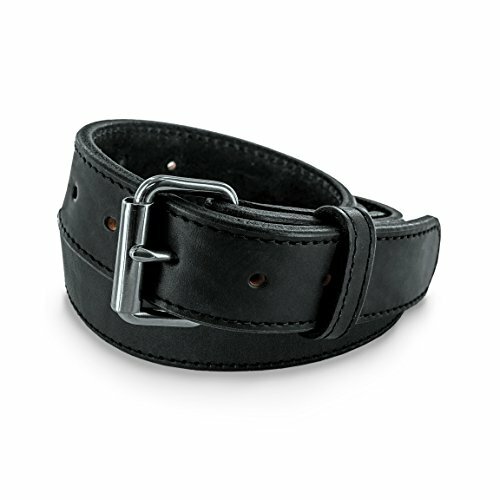 A beautiful option for the shooter who needs a strong no-nonsense belt without fluff, but doesn’t want it to rule their lives. 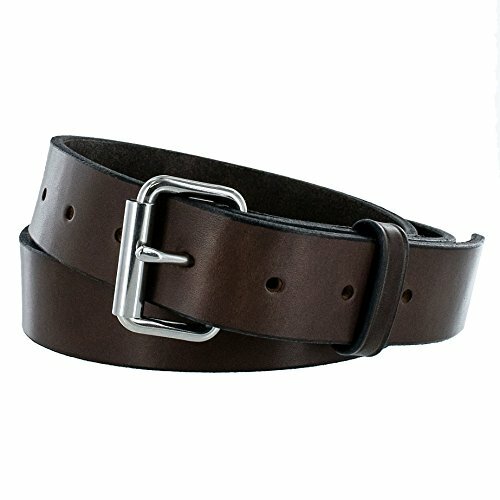 This is a semi-casual belt that can be used as a day to day belt or as a belt for all your gun gear. It’s made for jeans and a t-shirt more than for duty weapons and gear holders. But if you find yourself needing a belt for general carry and want an exceptional belt first and a very good gun belt second, there is no better choice. Period. 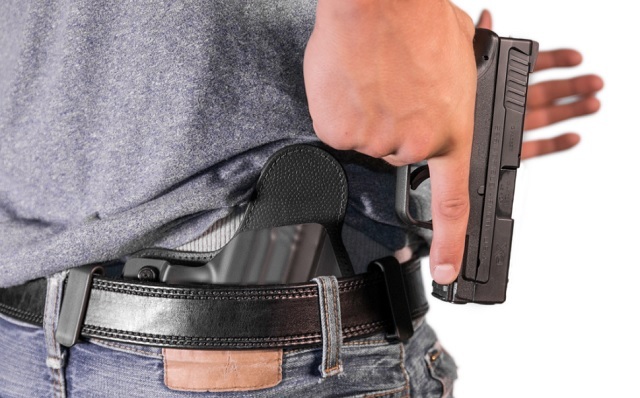 With the impressive list of gun belts covered in this article, there is no reason you cannot find the perfect holster/belt combination to ensure a comfortable, intuitive, and safe concealed carry, or range training experience. The robust, high-quality belts showcased here are absolutely best-in-class for heavy weight capacity, holster retention, and integrated functionality, and can easily be the simplest part of the carry equation. Because you now know where to find the best gun belts, and there is a strong core of belt offerings on showcase, you can feel confident in your gun belt selection.